In looking for the best fish oil supplement, check the company, it's integrity and the source of ingredients. Is fish oil harmful? It can be, if you take a cheap brand of supplements from the pharmacy. How to check if you have the best omega 3 fish oil? Check the bottle for the kind of fish it is made from. 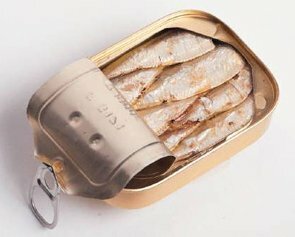 Omega 3 fish oil capsules should contain fish from anchovies, mackerel and sardines. These smaller fish are not contaminated. Bigger fish are high in mercury which means that your supplement will be high in mercury and other heavy metals. Check the amount of fish oil EPA and DHA. A good amount would be around 350 mg EPA and 180 mg DHA. 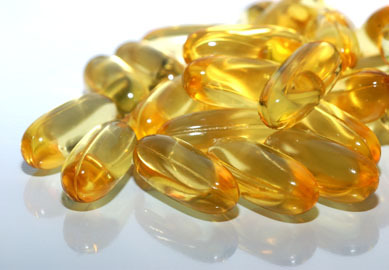 If you want chewable fish oil, the best fish oil supplement comes in a gel capsule. You can chew it and swallow it as long as you don't mind the oil squirting in your mouth and the taste before you swallow it. Some high quality supplements have lemon added to help the taste and also help with digestibility. A cheap brand of omega 3 will cause unpleasant burping. Omega 3 fatty acids are one of four basic fats that the body derives from foods. (The other three are cholesterol, saturated fat, and monounsaturated fat). Some of the other fats, especially too much saturated fat, can be harmful to the body, but Omega-3s are good for the body and especially good for the heart and brain. I choose Super Omega 3 by Nature's Sunshine. Super Omega-3 softgels contain more than 1,000 mg fish oil per capsule, with a ratio of 33:16 EPA to DHA. It also contains lemon to significantly reduce the aftertaste from fish oil and to reduce gas. Nature's Sunshine conducts extensive quality assurance testing to verify the purity of its products. The oil in Super Omega-3 is highly purified using molecular distillation. This helps to ensure a purer product. Ingredients: Medicinal ingredients: Fish oil (anchovy, mackerel, sardine), 1146 mg (contains 380 mg EPA and 190 mg DHA). Nonmedicinal ingredients: Gelatin capsule (glycerin, water) and lemon oil. Contact me to find out about how to save up to 40% or more on the retail price of the top supplements and vitamins.